Step One: Figure out what you want to measure. Defining the overall objective of your mystery shopping program might sound obvious but this will provide you with the blueprint you’ll need to put together a successful program. How can I improve my customer experience? How can I increase my customer loyalty? What parts of my customer experience are causing pain points? Put together a clear list of questions that provide you with the insights you’re looking to capture. 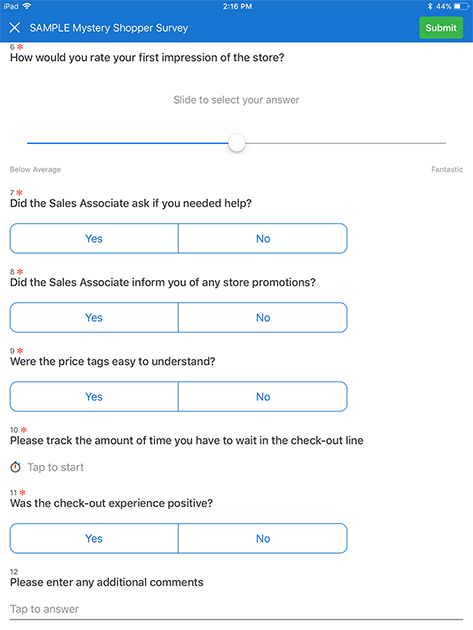 Use this mystery shopping form template as a starting point! Make sure that your questions are very clear with definitive ‘yes/no’ answers. There should be no ambiguity in terms of the feedback your mystery shoppers provide. 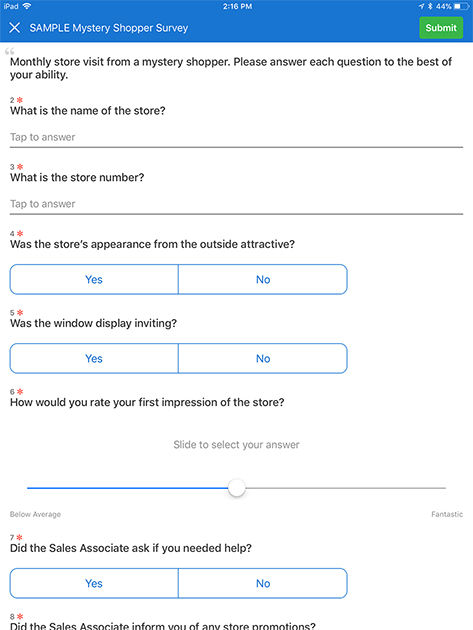 Launch your mystery shopper survey or mobile form to capture data. Our platform works with or without an internet connection so you can capture data from your mystery shoppers anywhere. Use your same survey but visit the competition instead. How did your mystery shoppers insights differ between you and the competition? Go through the data you’ve collected to see how the mystery shoppers experience provided insights. Want to start capturing data from your mystery shoppers, or launch your own mystery shopper program? Start your free trial today, and gain access to our templates through the QuickTapSurvey app.